MUMBAI: Here we bring exciting updates from B-Town to keep you amused. 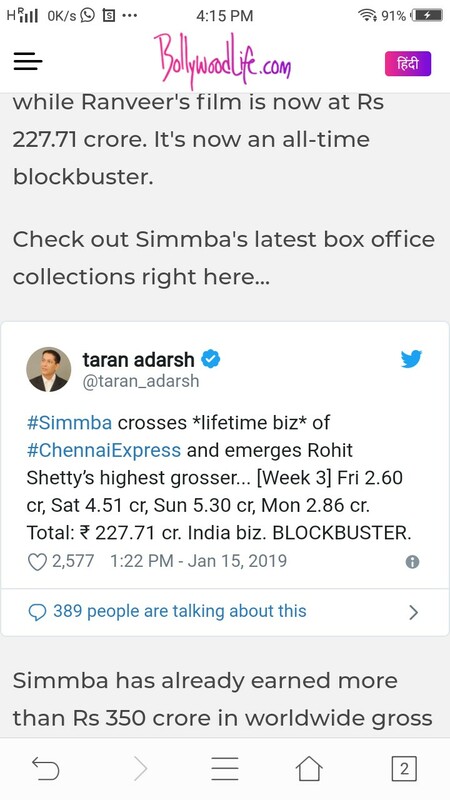 Ranveer Singh starrer Simmba is Rohit Shetty's biggest hit. It defeated Shah Rukh Khan starrer Chennai Express. In three weeks, Simmba has managed to achieve that feat. SRK's film made a lifetime collection of little over Rs 227 crore at the box office, while Ranveer's film is now at Rs 227.71 crore. It's now an all-time blockbuster. After Priyanka Chopra and Nick Jonas, Taimur Ali Khan and his parents Saif Ali Khan and Kareena Kapoor Khan, the latest actor to visit Swiss Alps is Hrithik Roshan. Kangana Ranaut is busy with the promotions of Manikarnika: The Queen of Jhansi, which is all set to release on 25 January. In a recent interview with media, she opened up about her struggles, how she became a director and how she thoroughly enjoyed direction. The actress further added, "When I began shooting Manikarnika, there were never ending open letters. When I faced uneasy accusations from one quarter and I was sent a notice, there was an outrage. Though I was not a big star, and I was having this conflict with a co-actor, I did find people supporting me." Shah Rukh Khan has been a part of the film industry for more than 25 years. With his hard work, he has become the King Khan. The journey of his career in Bollywood from nothing to being one of India's biggest superstars is truly inspiring. Not only his fans and admirers, but his kids are also following his footsteps. However, SRK wants his children to first finish their studies. Aishwarya Rai Bachchan forever charming! 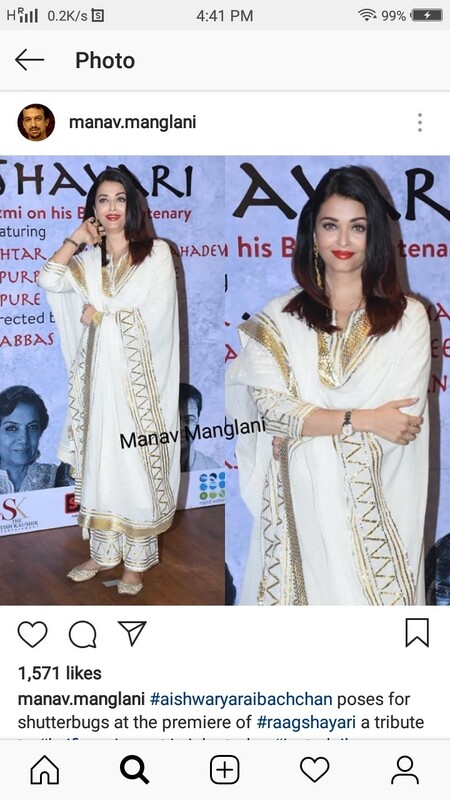 Aishwarya Rai Bachchan is often seen attending social events not only in India but around the globe. She is known as the epitome of grace and her photos always impress her fans. Karan Kundrra and Anusha Dandekar’s picture perfect photo with Priyanka a Did Deepika Padukone opt out of Ranveer Singh’s 83?